The body needs more than food to perform at optimum levels. The human diet simply cannot cover all your nutritional needs without overfeeding. To reach healthy levels, use proper supplementation to create balance in your plans. 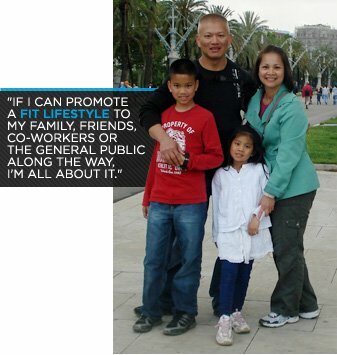 Vilachack Ladara, our 2011 Male Military Challenge Winner, keeps it pretty basic. He takes the recommended supplements which, combined, create solutions for the Air Force Captain. "There are instances where I think you need supplementation," Ladara said. "I believe in a multivitamin, because you are dieting and you're not getting everything your body needs through nutrients from foods. I take a good multivitamin, with some glucosamine for my joints, because I'm old. And my joints hurt when I workout." He also drinks protein shakes, because his plan calls for 200-to-300 grams of protein per day. That's a lot of chicken, a lot of fish! He makes shakes with both whey and casein proteins. The shakes help him fill that large macronutrient slot. Ladara made a powerful physical transformation by slamming his body against a rigid workout plan that sometimes offers little to no rest. He managed his caloric intake as if he was controlling air traffic. Nothing he did was on a whim, and that certainly goes for his supplementation plan. Nothing in here is experimental. He chose tried-and-true supplements and worked harder than he ever had in the gym. "I try to stick to basics: protein powders and bars, a multivitamin, a pre-, intra-, and post-workout drink, glucosamine and BCAAs. That seems like a lot now that I've written them down, but I feel they are essential to my fitness goals. I look for supplements that taste good. I eat mostly for nutrition, but my palate still needs flavor (of course the supplements have to work too). "The GLC2000 keeps my joints lubricated and joint pains at bay. Because I'm a bodybuilder I try to keep my protein intake high, around 300 grams per day. The protein powders help me reach that mark without all the extra calories or the food prep time. "I sometimes take ON Amino Energy blue raspberry on non-workout days just for the extra energy. 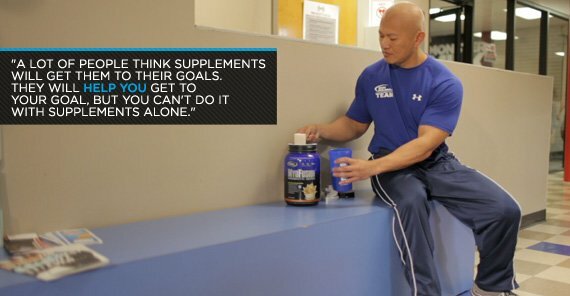 I take BCAAs to preserve my muscle size, especially while limiting my caloric intake. "I'm not sponsored by anyone, I don't really do this weightlifting thing for income; I do it mostly for my health, but if I can promote a fit lifestyle to my family, friends, co-workers or the general public along the way, I'm all about it."